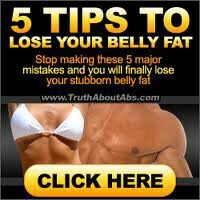 Before you looking at the workouts you will need to familiarize yourself with the different sections of the abdominals. There are three major section that makeup the abdominals. The rectus abdominis can further be broken down into the upper, middle and lower regions. In order for you to see the results from your ab training, it's not enough to just do situps. You need to also diet properly, do cardio, and weight training. Dieting, cardio and weight training will burn the necessary calories while simultaneously increasing your metabolize, which burns calories 24/7. Remember, you can't have abs and be overweight, it's impossible. That's why it's important to burn calories and lose weight. Your bodyfat percentage needs to be 12% or less to see your abs. This section will be updated soon with more ab workouts. The lower abdomin is a tough area to sculpt and tone. These ab workouts focus solely on the lower abs! These ab routines will shock your lower abs.